Artists live to tell the truth, challenge visual perceptions and decimate false ideologies, oftentimes through notions based on their own cultural and societal experiences. When it comes to African culture, though, the complexities are varied and misconceptions run rampant. 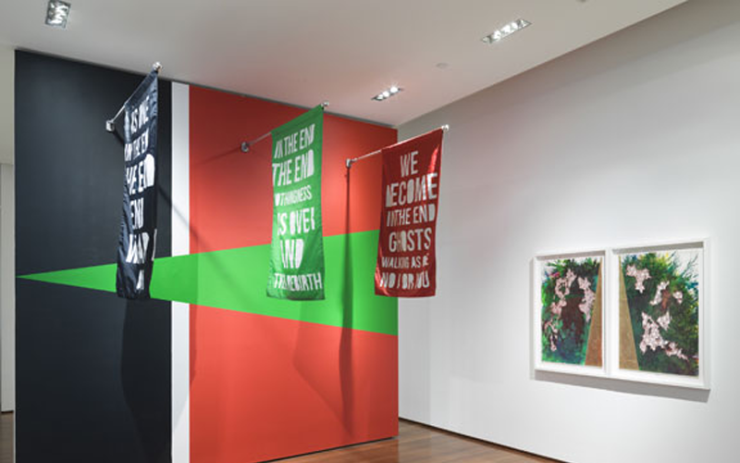 Curators Larry Ossei-Mensah and Dexter Wimberly wanted to start a conversation about “Africaness” in the context of contemporary culture, so they gathered nine African artists for their new exhibition No Such Place, which opened recently at Edward Tyler Nahem Fine Art on 57th street in Manhattan. 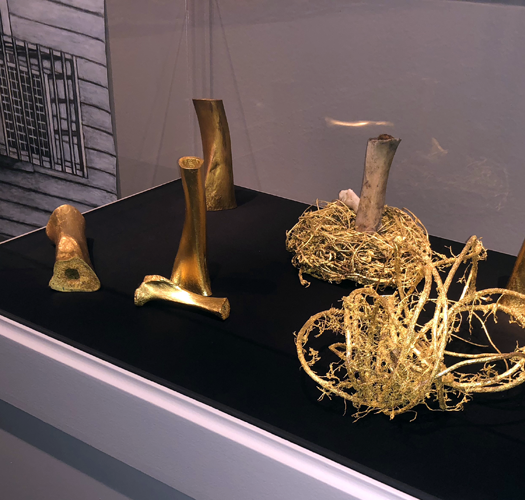 Exhibiting through April 3rd, No Such Place features multi-ethnic artists who represent from East to West and North to Southern Africa, like Vivienne Koorland who grew up in the apartheid era. Koorland was approached by the show’s curators, Ossei-Mensah and Wimberly, and asked to submit several works for the exhibition. The first, “Mute Piano, No. 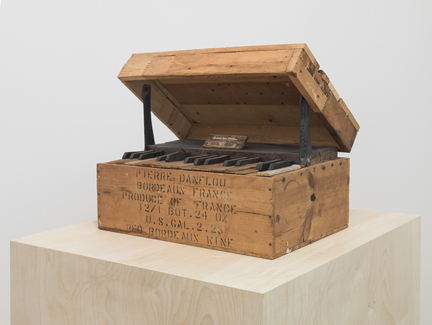 2,” (from a series of eight wooden pianos) was contextualized by a postcard of a tiny wooden piano mailed to Koorland by her childhood friend, George Tobias. The actual piano was made by a prisoner in ‘the Gulag’ and it now resides at the Museum of the Occupation in Latvia, the country of Koorland’s and Tobias’ grandfathers; both fled to South Africa after the Bolshevik Revolution. 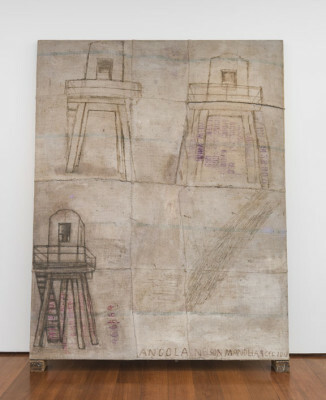 It was Koorland’s second painting though, “Angola” that resonated with me most, not only because of the caption that reads “Angola Nelson Mandela,” but also the feelings of familiarity that the particular image of prison towers in the painting conjured for me. But even as an American, who takes a bit of care to know about Africa, I resigned to the idea that this painting was about the country Angola. After all, the exhibit is about “Africaness.” After meeting Koorland, I quickly learned differently. She says, “The painting is really about the prison in Angola, Louisiana, but it’s not about the prison in terms of being any kind of narrative, about any aspect of this notorious prison.” Feelings that I had and the reality about Koorland’s painting reconciled in less than 5 minutes. Being from New Orleans, I immediately shared with her stories about my cousins, Jacob and Paul Amar, who spent 14 years and 11 years, respectively at Louisiana State Penitentiary (LSP – Angola). She found my stories fascinating and indulged me with great interest. Koorland grew up just across the water from Robben Island, where Mandela was incarcerated, with a constant view of the prison. 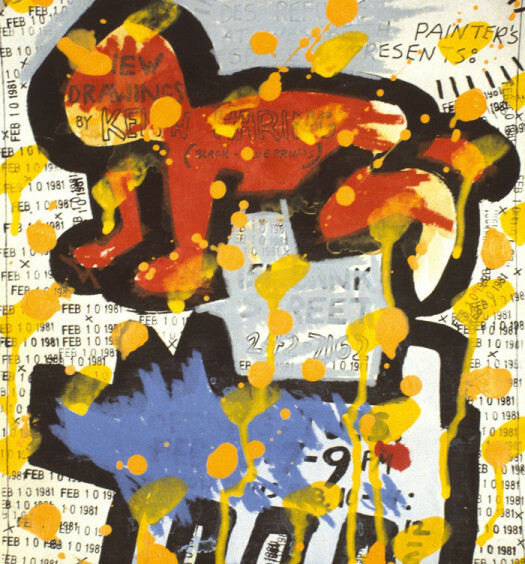 For this painting, Koorland set out to work at conflating the various geopolitical histories. Koorland shares, “[Angola] was triggered by an article in the New York Times about the installation of an actual guard tower and an actual cell from the Angola prison in the National African-American Museum for History and Culture [at the Smithsonian Institute in Washington, D.C.].” Koorland continues, “I’m charged with presenting an official narrative of black life in America and aspects in dark corners of American history.” The day Koorland decided to stop working on “Angola” was the day that Nelson Mandela died in her native South Africa, December 5, 2013. Overall, No Such Place broadened my perspective and piqued my curiosity about contemporary Africa and African artists. By aiming to debunk the tropes typically associated with Africa, No Such Place sparks new questions around identity and the desire to culturally categorize individuals. Moreover, the exhibition makes the viewer wonder – What does it mean to be African in 2015? What does it mean to be an artist from Africa? No Such Place is open until April 3, 2015 at Edward Tyler Nahem Fine Art located at 37 West 57th Street, New York.